For the worker who wishes to be alone. I created this with animation in mind, so the scene pans up following the line of perspective. This was created for a project on my animation course, I chose to design a mask makers studio in a treehouse. Probably the longest I've stuck with one painting. I've just really enjoyed doing it. UPDATE! 4 Sept 07 - Extened the walls and gave the drawing more contrast. This is great! There are so much details! Thanks dude, yeah I've been thinking of returning to this older style of mine. this is really impressive. I love that kinda drawing. How'd u do that? Very creative and very professional! Thanks for beeing such an inspiration!!! the studio of my dreams. You made it look like a welcoming place to stay. Quiet. No sense of time in there. I like when the light shines though the way it does. So pretty. And warm. It's great! it feels like a Peter Pan's tree house! Love the masks, and the shading. It's a gorgeous visual! Ah i remember someone else mentione they were reminded of zelda by this. Haha no really, the feel and warmth in this is wonderful~ I'd only make to light beams a teensy weensy bit more blurry, especially where it's broken by the holes in the curtain and the leaves. This environmant has such a soft feeling to it, the rays are kind of disrupting it. Yeah I know what you mean, i recently looked back on this - it's about a year old, and I thought the light beams were a tad off. it kind of reminds me of how i imagined to make my own personal studio (I EVEN THOUGHT OF A TREE HOUSE!!!!!!!) OMG ! the colors are great !!! and i love the masks !! keep up the good work mate..
this so so so very nice!! I <3 it!! First of all, I love tree in the middle of the drawing! totally great perspective and details! and the flower there too! also the green leaves! this is really nice.. gives the "nature-ish" feeling.. so calming..
the presence of the light really made the painting amazing..
Wow just...WOW 0_0 That is AMAZING. By the way I think you are on my animation course XD I recognised the Brazil animation. How's life after the animation course? Ahh I remeber looking over your sholder while you were line testing some animation of the main guy, it was some pretty good animation! But your layouts are fantastic, wish I could create layouts like that. Heh yeah, sorry if there are any pigeons still left on that desk XD I can't remeber if I took all of the line tests away with me. Ah well I'm back at the studio for another year! lol I've been at that place for years, but now I'm gonna be on the Masters Degree in Animation there. Do you know the editing suite? I've heard that is where I'm gonna be working, they are changing things around at Uni, not the studio but some of the other rooms and the Uni cafe too. Ah the animation masters course. Do you get to create your own independent animation for that? and is it only experimental animation like painting on glass and such? (which is what i heard) or are you just left up to your own devices, and do it how you like? If so I might consider doing it myself. Its cool, cleaners have blitzed the place anew for our generation to draw over. As it's a new course, there isn't alot of infomation that I can get about it, however I have spoken to the head of all the MA courses and she says that you can pretty much do whatever you want on the Animation Masters Degree. So if you want to paint on glass as an experimental piece of animation then thats cool, also if you want to make a disney style film then thats cool too. Mine is going to be a trailer called 'Kanji', though whatever you want to do, you have to create a study proposal and explain about your idea. I *think* that I might have helpers working for me, though nothing definate at the mo, Peter is looking into maybe some 2nd or 3rd years helping out but I have to speak to him to see if it's true. wow, cool! you should work for lucasarts! good God, this is great! Nice studio, looks like it came directly from the pages of some amazing fantasy story. The shading and the colours are beautiful, it actually feels like a place you could visit. Mad respect 4 your skills, It is an amiazing layout. I myself also want to work with animation. I absolutely love your work man. A true source of inspiration for me. If you dont mind my asking, " were are you studyin animation?" Im not in school yet but im gunna get there, right-now im just practicing with pencil and paper(flip book style) I dont even have my light-box yet lol. Nice to meet you and see ya work, Hope you dont mind but im gunna be looking at yur background pics alot so i can learn from them lol. 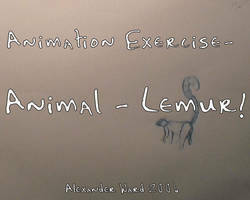 I'm studying animation at Bournemouth UK. I'm just about to go into my 3rd and final year where I'll be making my graduation film. Heh yeah i was doing flipbooks first too, i remember going crazy with one and it ended up as a 3inch thick flipbook. Yeah don't rush going into animation school, i think i should have probably taken a year out before starting. to work on my illustration skills. I had to do draw like mad in the first year to catch up to a lot of people. Well thanks for the comment man, i appreciate it. Thats just amazing x.x I'm mesmerized. I wouldnt mind crashing there! so incredibly preety. i wish i could live there. it looks fun.